Hyacinthus is a small genus of bulbous flowering plants in the family Asparagaceae, subfamily Scilloideae, that are commonly called hyacinths. The genus is native to the eastern Mediterranean (from south Turkey through Lebanon and Syria to northern Israel/Palestine), Iraq, north-east Iran, and Turkmenistan. Several species of Brodiea, Scilla, and other plants that were formerly classified in the lily family and have flower clusters borne along the stalk also have common names with the word “hyacinth” in them. 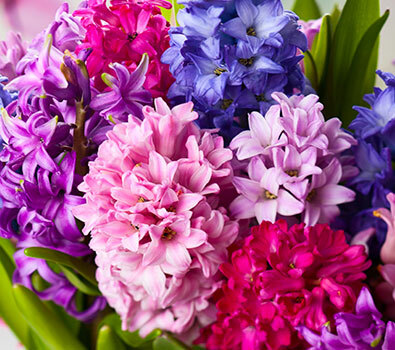 Hyacinths should also not be confused with the genus Muscari, which are commonly known as grape hyacinths.